In many biological processes the regulation of gene expression involves epigenetic mechanisms. In this new edition of Epigenetics, 36 chapters written by experts in the field introduce and explain epigenetic effects from many perspectives. These include the varied molecular mechanisms underpinning epigenetic regulation, discussion of cellular processes that rely on this kind of regulation, and surveys of model organisms in which epigenetic effects have been most studied. The original chapters have all been rewritten and brand new chapters cover topics such as the structure, function, and dynamics of histone-modifying enzymes and histone-interacting proteins. Other chapters address chromatin remodeling, DNA methylation, siRNAs, and gene silencing; X-chromosome inactivation, dosage compensation, and imprinting; and epigenetics in microbes, plants, insects, and mammals. How epigenetic mechanisms act in cell division and cell type specification, and how errors in these pathways contribute to cancer and other human diseases are also considered, along with the importance of epigenetics for induced pluripotency and reprogramming. In addition, new chapters describe the involvement of epigenetic processes in epigenetic inheritance, neuronal development, metabolism and signaling, responses to the environment, and long-range chromatin interactions. A series of short essays highlight important recent discoveries. 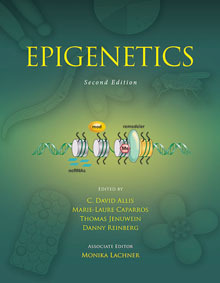 All the chapters provide conceptual illustrations that help readers understand epigenetic control. The book is thus a benchmark text for advanced undergraduate and graduate courses on gene regulation, as well as an essential resource for scientists interested in this rapidly moving field. Chromosome Folding: Driver or Passenger of Epigenetic State?